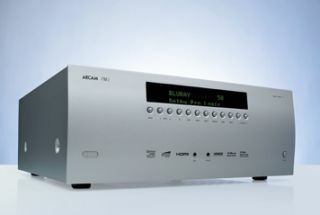 HOT DEAL: Arcam offers AVR400 Christmas trade-in discount | What Hi-Fi? If you've been debating buying yourself an Arcam 7.1 AVR400 multichannel receiver, this may tip the balance. The British audio company is offering a £400 trade-in deal on its 7.1 AVR400 model in the run-up to Christmas. All you have to do is pop along to your nearest Arcam dealer with your old AV amp or receiver, and you'll get £400 off a brand-new AVR-400. That brings the price down from £1800 to £1400. The Arcam AVR-400 is 3D-ready, delivers 90W per channel and its auto set-up feature will have you up and running in no time. Radio fans get a DAB tuner and internet radio too. It also has an onboard network music player, which can be controlled from your iPhone, iPad or iPod Touch using the Songbook Arcam app available from the iTunes store.